[S29] Aaron Sargent, Sargent Genealogy in England and America, Somerville, MA: privately published, 1895, p 71. 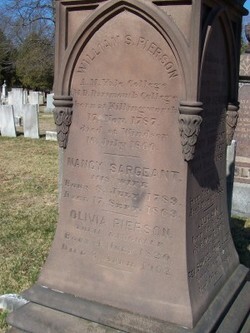 [S4190] Find A Grave: Palisado Cemetery, Windsor, Connecticut, William Seward Pierson, created by Jerri Eoff Sudderth, added Mar 2009, memorial number 35118837. [S4079] 1850 US Federal Census, Windsor, Hartford County, Connecticut, digital image Ancestry.com ; National Archives micropublication, William S Pierson head of household, roll M432_39, page 238B. [S4190] Find A Grave: Palisado Cemetery, Windsor, Connecticut, Nancy Sargeant Pierson, created by Jerri Eoff Sudderth, added Mar 2009, memorial number 35119466. [S145] Duana, family tree titled "Duana Blakey Family Tree and assorted Bushes", published by Ancestry.com, wc.rootsweb.ancestry.com, from database named duanablakey, updated Jun 2011, viewed Jan 2013. [S145] Duana, family tree titled "Duana Blakey Family Tree and assorted Bushes", published by Ancestry.com, wc.rootsweb.ancestry.com, from database named duanablakey, updated Sep 2008, viewed Aug 2010. [S29] Aaron Sargent, Sargent Genealogy in England and America, Somerville, MA: privately published, 1895, p 104. [S3583] Lucius Barnes Barbour, compiler, Connecticut Vital Records (The Barbour Collection): Hartford Births - Marriages - Deaths 1635-1855, Baltimore, MD: New England Historic Genealogical Society, 1928, viewed either on ancestry.com or the NEHGS website, p 326, 276. [S4103] The New York Evening Post, online index database, digitized by NEHGS, 2013 New England Historic Genealogical Society. (Original publication: ). [S296] 1860 US Federal Census, Hartford, Hartford County, Connecticut, digital image Ancestry.com ; National Archives micropublication, Olive Colt head of household, district 2, roll M653_78, page 1139. 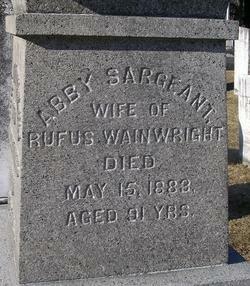 [S2831] Find A Grave: Middlebury Cemetery, Middlebury, Vermont, Abbey Sargeant Wainwright created by Robert Boehm Rathbun, date added Sep 2002, Memorial number 6739745. [S2231] Franklin P Rice, MA Vital Records to 1850 - Worcester Births, Marriages, Deaths (Worcester, MA: Worcester Society of Antiquity, 1894), p 228. [S2831] Find A Grave: Middlebury Cemetery, Middlebury, Vermont, Sophia Wainwright created by Robert Boehm Rathbun, date added Mar 2009, Memorial number 35249583. [S1659] Vermont Death Records, 1909-2008, online image database, digitized by Ancestry.com Operations, 2010 www.ancestry.com. Original publication: Vital Records Office Vermont Death Records, Vermont State Archives and Records Administration, Montpelier, Vermont. Transcribed on americanancestors.org by LSR 11/2013. [S935] T Dowling, family tree titled "Dowling Family Genealogy", published by Ancestry.com, wc.rootsweb.ancestry.com, from database named dowfam3, updated Aug 2010, viewed Aug 2010. 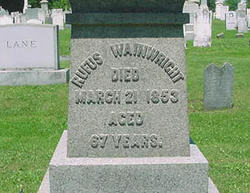 [S2831] Find A Grave: Middlebury Cemetery, Middlebury, Vermont, Rufus Wainwright created by Robert Boehm Rathbun, date added Sep 2002, Memorial number 6739747. 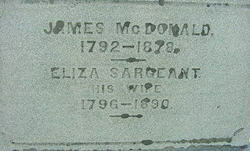 [S2831] Find A Grave: Middlebury Cemetery, Middlebury, Vermont, Eliza Sargeant McDonald created by Robert Boehm Rathbun, date added Sep 2002, Memorial number 6739789. [S29] Aaron Sargent, Sargent Genealogy in England and America, Somerville, MA: privately published, 1895, p 71 date 26 Apr. [S935] T Dowling, family tree titled "Dowling Family Genealogy", published by Ancestry.com, wc.rootsweb.ancestry.com, from database named dowfam3, updated Dec 2014, viewed Jan 2014. [S2831] Find A Grave: Middlebury Cemetery, Middlebury, Vermont, James McDonald created by Robert Boehm Rathbun, date added Sep 2002, Memorial number 6739791. To the Hon. Supreme Court, next to be holdern at Middlebury within and for the County of Addison on the 4th Tuesday of January 1830, humbly sheweth Sophia Rathbone of Middlebury in said County, that at Middlebury aforesaid, on the 10th day of May 1819, she was lawfully marrid to Alfred T. Rathbone late of Vergennes in said County by the Rev. 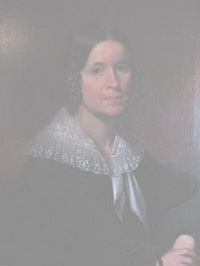 Thomas A. Merrill of said Middlebury; and from that time to the 27th day of August 1825, she lived with the said Alfred T. Rathbone in the strict observance of all the duties required by the marriage covenant when she was driven from his house by the said Alfred T. Rathbone by intolerable and abusive conduct without any provocation, on the part of your petitioner, and has ever since been obliges to rely for a substance, on her own personal labour and the charity of her friends. And your petitioner further sheweth that the that the said Alfred T. Rathbone at Vergennes aforesaid while she lived with him, as aforesaid, did at different times and on various pretenses during the time aforesaid threa your petitioner with intolerable severity. Your petitioner therefore prays this Honorable Court, that the bonds of matrimony between her and the said Alfred T. Rathbone be dissolved and a bill of divorce granted her; that such part as to his Honorable court may appear reasonable; and in Fine that she may be restored to all thngs which she has lost by reason of said covenant." This notice with citation were to be published three weeks successively in the Vermont Aurura, a public newspaper in Vergennes. 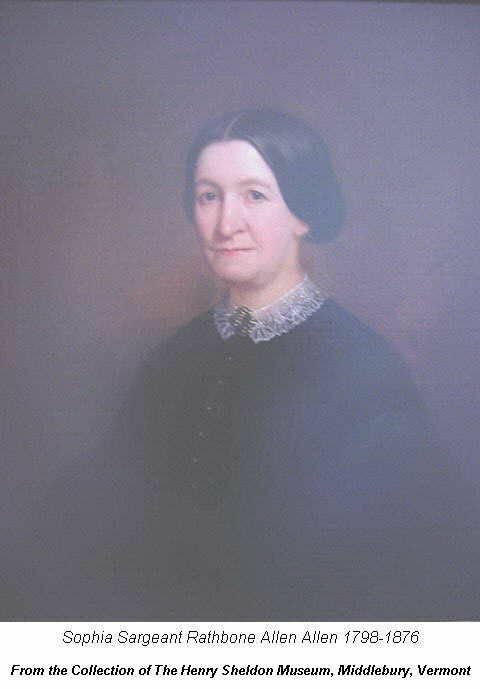 She was granted her personal belonging in alimony which included two bedsteads, two beds and bedding, one card table, one pine dress table, one wash stand, one brass time piece, one pair and-irons, one pair of brass shovel and tongs, one sale carpet, one home made carpetn, one gilt looking glass, table linen and towels, curtains for three windows, one set bed curtains, one set table spoons, nine silve teaspoons, one set tea waiters, one dozen dining knives and forks, one dozen tea knives and forks. [S5880] Fred Knudsen, family tree titled "Knudsen/Essington Tree", published by Ancestry.com, www.ancestry.com, from database named 12347330, viewed Mar 2018. [S565] Mike Hatherly, family tree titled "My Hatherly Ancestors", published by Ancestry.com, wc.rootsweb.ancestry.com, from database named hatherly, updated Oct 2015, viewed Mar 2018. [S5349] Find A Grave: Grove Street Cemetery, New Haven, Connecticut, George Sargeant Allen, created by Robert Boehm Rathbun, added Oct 2009, memorial number 43226462. [S565] Mike Hatherly, family tree titled "My Hatherly Ancestors", published by Ancestry.com, wc.rootsweb.ancestry.com, from database named hatherly, updated May 2008, viewed Aug 2010. [S6000] Jesse Earl Rathbun,e-mail address family web site titled "Ancestors of Jesse Earl Rathbun", www.rathbun-family.com, updated Jan 2018, viewed Mar 2018. 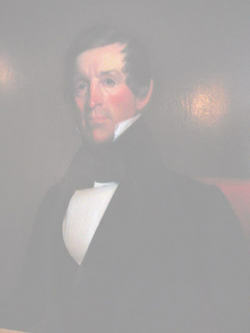 [S565] Mike Hatherly, family tree titled "My Hatherly Ancestors", published by Ancestry.com, wc.rootsweb.ancestry.com, from database named hatherly, updated May 2008, viewed Aug 2010 , added middle name.